Maharashtra, a key state in Western India is the third-largest by size and the second-largest by population. It contains India’s most industrialized Mumbai–Pune region and is one of India’s more advanced, well-irrigated, and agriculturally most productive. Historically speaking, the state of Maharashtra is quite important. 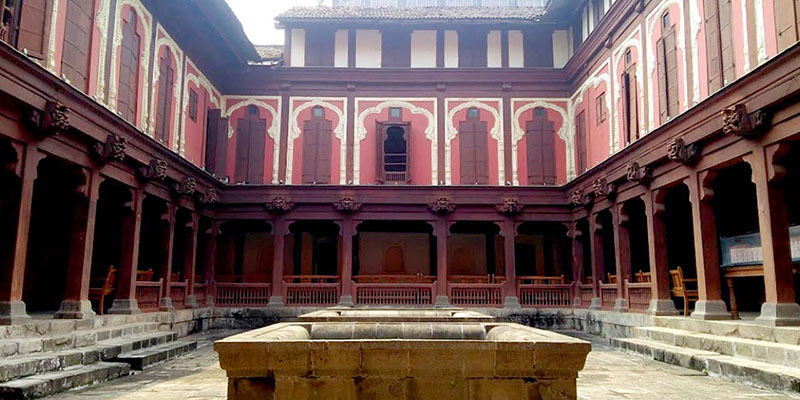 It has been inhabited since 4th century BC and then ruled by Pravarapura, Nandivardhana, Chalukya, Rashtrakuta, and Yadav dynasties until the birth of Maratha empire. The history continues with Marathas at wars with foreign Muslim invaders, to the courage of Chhatrapati Shivaji to Maharashtra under British rule, eventually India’s Freedom Movement. Mumbai, formerly Bombay, is full of dreamers and laborers, stars and gangsters, stray dogs and exotic birds, artists and servants, fisherfolk and millionaires, and of course millions of people in it. It has India’s most prolific film industry Bollywood, some of Asia’s biggest slums, the world’s most expensive home(Antilia-27 floors) and the largest tropical forest in an urban zone. 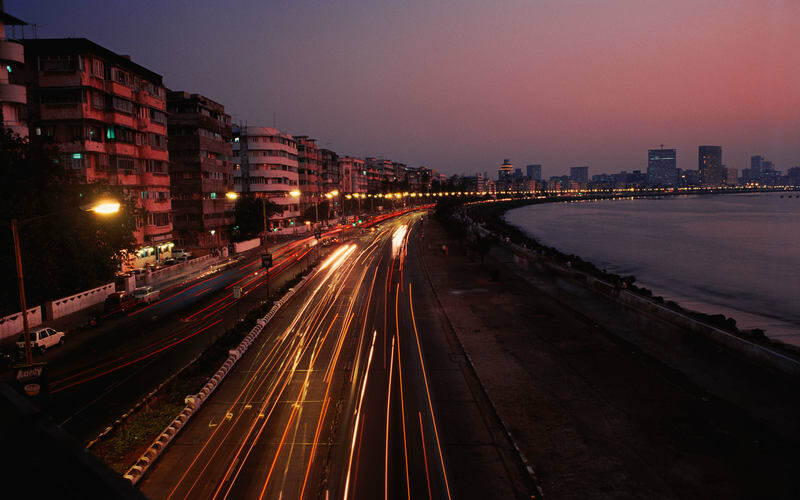 Travelling in the locals of Mumbai is an expeirience you must have. An answer to Mumbai’s ever-growing population growth, it is a thriving, vibrant metropolis, with a rich history and modern buildings all in the same locality.It’s also globally famous, or notorious, for an ashram, the Osho International Meditation Resort, founded by the late guru Bhagwan Shree Rajneesh. Ajanta which is a complex of Buddhist caves representing some of the best of early Buddhist art and Ellora, world famous for its caves of all three major Indian religions (Buddhist, Hindu, and Jain), are World Heritage site and you must not fail to visit them during your trip to this state. They are mindblowing. 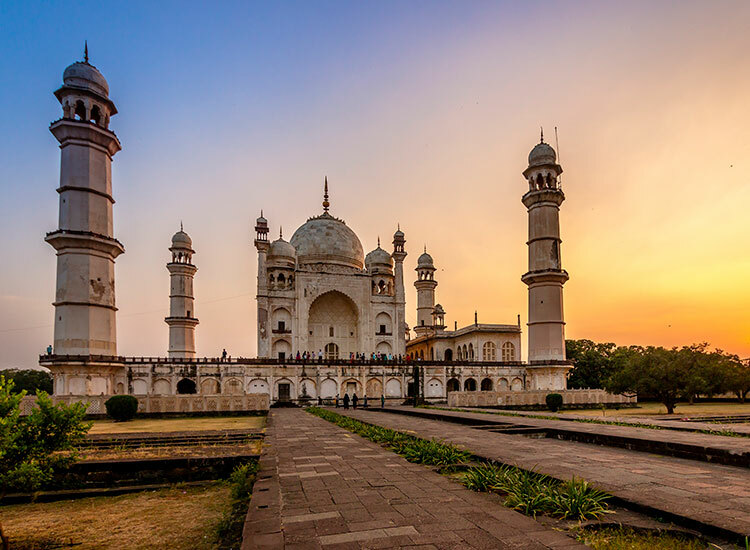 Built along the same lines of the Taj Mahal but not as beautiful, this monument with the same dome, minarets, and landscape is worth a visit before you visit the actual Taj. It stands in the middle of a spacious and formally planned garden, some 457 by 274 meters, with axial ponds, fountains, and water channels, many defined by stone screens and lined with broad pathways. 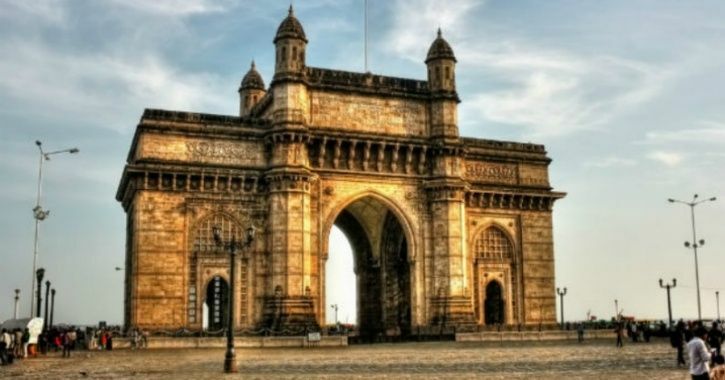 Located in Mumbai, this was the place where the British would enter the city thus making it the gateway. The famous Taj hotel is located right next to it and a must visit especially during monsoon to see the sea in all its might. Also declared by UNESCO as World Heritage site, The ‘City of Caves’, on an island in the Sea of Oman close to Bombay, contains a collection of rock art linked to the cult of Shiva. Here, Indian art has found one of its most perfect expressions, particularly the huge high reliefs in the main cave. The fort is a fort which isn’t built to make you go wow but to make you get lost in its maze of defense. It is a purely defensive structure with lots of traps that will really blow your mind and convince you why it got the title the unconquered fort. Recommend this as a must see after Ellora and Ajanta. This amazing structure is still used as the station it was built to be with millions of commuters using it every day to go from one part of Mumbai to the other. 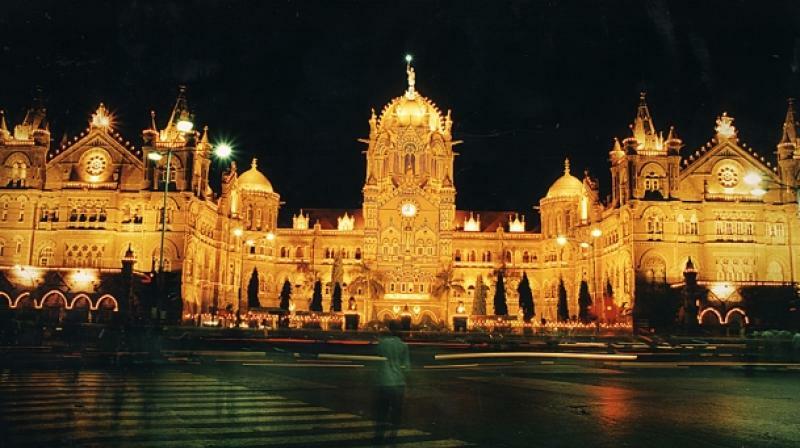 CST, or Victoria Terminus as it was originally named, however, signifies the zenith of British colonial architecture in the entire Indian Subcontinent. 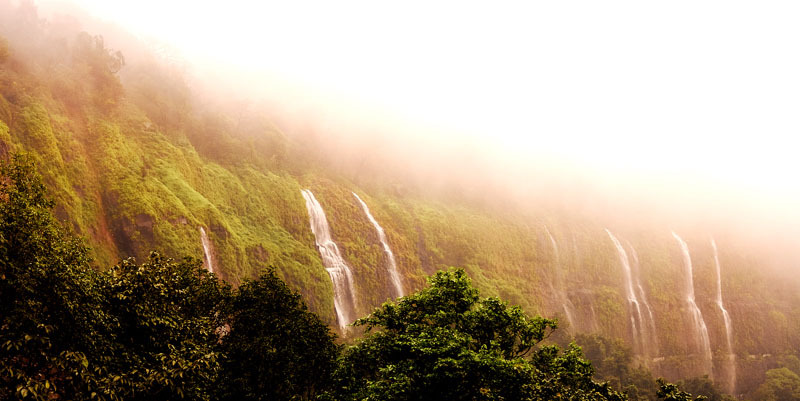 Maharastra has the Western Ghats which are home to numerous waterfalls, treks and amazing destinations. The area is one of the world’s ten “Hottest biodiversity hotspots” and has over 7,402 species of flowering plants,1814 species of non-flowering plants, 139 mammal species, 508 bird species, 179 amphibian species, 6000 insects species and 290 freshwater fish species. It is likely that many undiscovered species live in the Western Ghats. At least 325 globally threatened species occur in the Western Ghats. 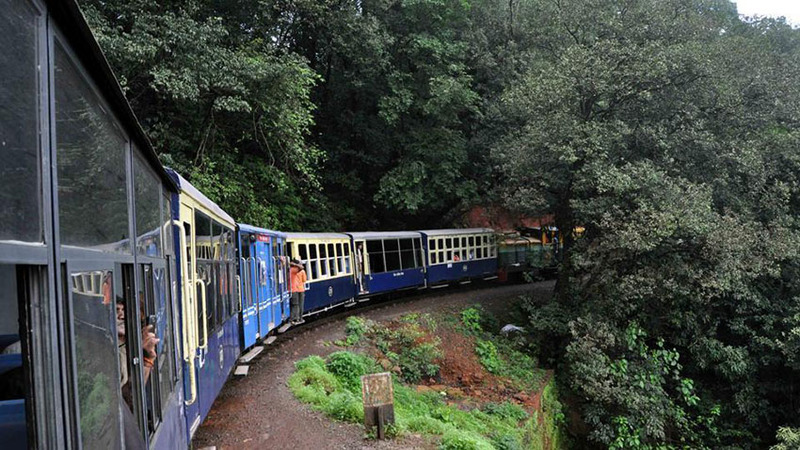 Amboli a place nestled between the borders of Maharashtra and Goa. View of the valley with waterfalls can be admired at various turns and points along the long and winding Ghat road from Amboli to Sawantwadi, especially in the rains. You come from an altitude where you feel you are in the midst of a cloud and after an hours drive you have reached the sea level. 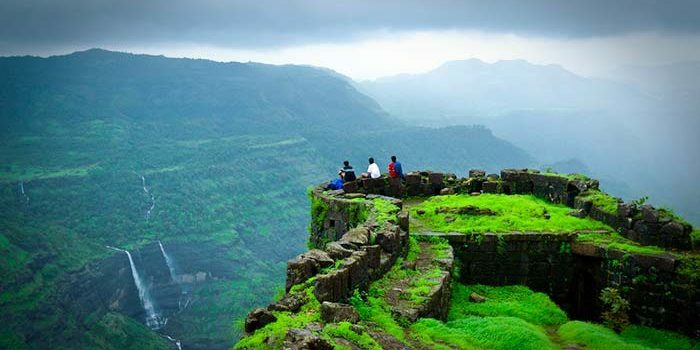 Mahabaleshwar is a hill station in India’s forested Western Ghats range, south of Mumbai. It features several elevated viewing points, such as Arthur’s Seat. West of here is centuries-old Pratapgad Fort, perched atop a mountain spur. East, Lingmala Waterfall tumbles off a sheer cliff. Colorful boats dot Venna Lake, while 5 rivers meet at Panch Ganga Temple to the north. Lonavla is a resort town about 106km southeast of Mumbai. 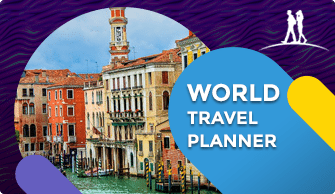 It is famous for its garishly lit shops flogging chikki, the rock-hard, brittle sweet made in the area, fun-for-the-whole-family kinds of stuff like wax museums, go-carts, and India’s largest water park. Located in the Satara district of Maharastra, Kaas Plateau is a hotspot for biodiversity in India’s the Western Ghats. Also known as at the Valley of Flowers of Maharashtra, the small plateau is so rich and unique in its flora that almost 70% of the flowers of Maharastra are found only here. Maharastra is huge. It stretches from the west coast to the interior regions and its climate varies with its geography. The best way to explore the nature and wildlife is to visit the National Parks. Formerly a wildlife sanctuary, this park forms part of Sahyadri Tiger Reserve with Koyna Wildlife Sanctuary. This area is home to the Bengal Tiger and Indian leopards, sloth bears, bison, Sambar deer and blackbucks. There are also several species of amphibians, reptiles and birds as well. This is a part of the Meighat Tiger Reserve, this park has a large variety of mammals, fish, and butterflies. The water crocodile was reintroduced into the Gagda and Dolar rivers. A popular forest resort with a lake found in the Navegaon hills with a diverse variety of mammals, fish and birds. Opportunities exist for a jungle safari, sailing on the lake or staying in a tree-tophouse. Also known as “Borivali National Park”, it’s a large park with a wide diversity of plant and animal life. 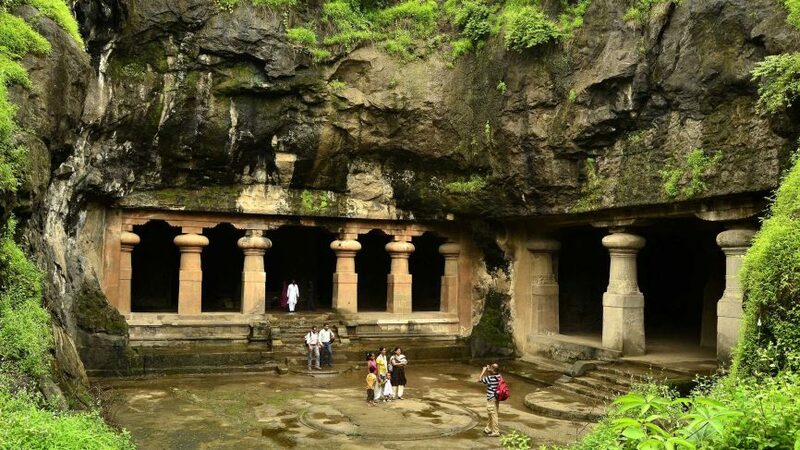 The Kanheri caves within the park are also an attraction. Many types of butterflies have been seen in the park as well as birds and reptiles. 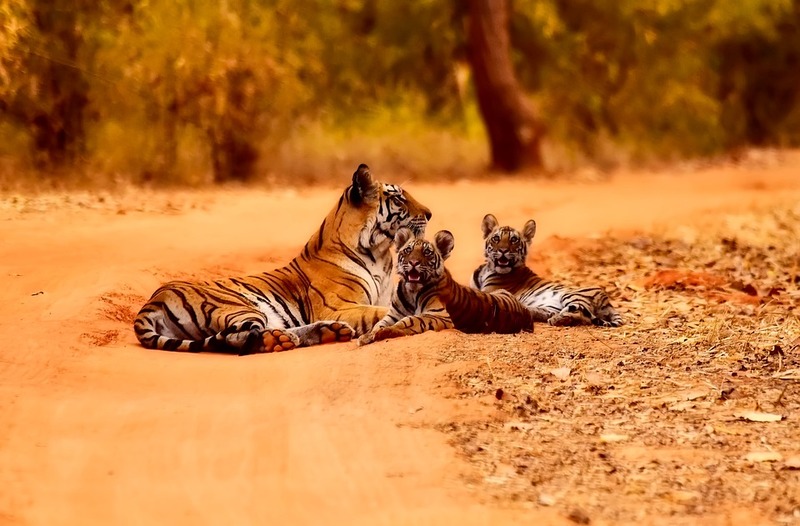 The largest national park in Maharashtra designated as a Tiger reserve, besides tigers, one may see Indian leopards, sambar deer, Indian python, and Indian cobra. With nearby Tadoba Lake, a large diversity of birds can be appreciated by the avid bird-watcher. For visitors, jungle safari trips via Gypsy vehicles and buses with local guides can be arranged. Coastal Maharashtra (Konkan) has some of the very beautiful beaches. With a 720 km coast line, there are beautiful beach destinations almost every 50-100 km, starting from Dahanu in the Northern part of the State to Sindhudurg, at the Southern tip. All of the above beaches are well-developed and have multiple accommodation options, great views, and easy access. You can go river rafting, mountain biking, and kayaking at Kolad. 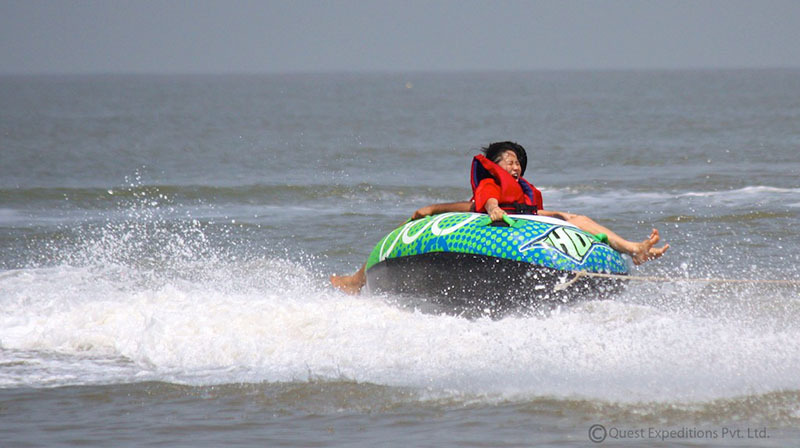 There are numerous water sports in the beaches around Mumbai to get your adrenaline pumping. Or play laser tag and paintball in the city of Mumbai. Bowling is now an option in many malls. There are also numerous amusement parks in the state where you can go and have a day filled with roller coaster rides. Since it has a huge portion of the Western Ghats there are numerous treks one can go on to forts and hilltops, especially during monsoon which make it a wonderful walk. The Sahyadri range of mountains is an impressive hill range int he western parts of Maharashtra running north to south. There are many peaks in these ranges with medium height, highest being ‘kalsubai’ peak. 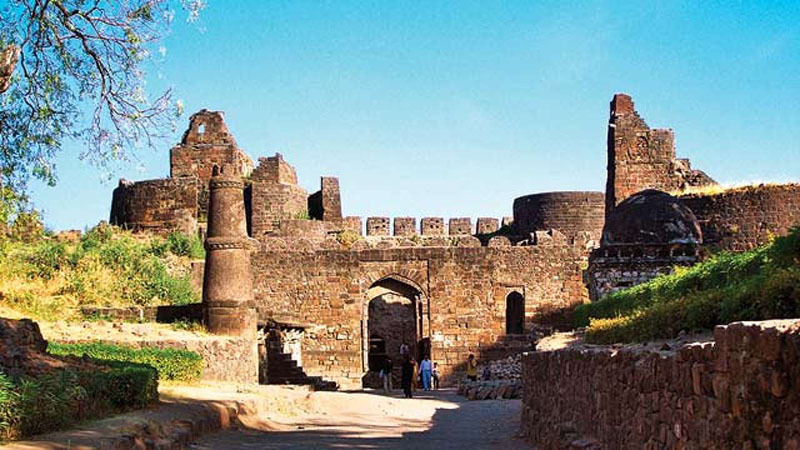 Many of the hills have been converted into Forts by Chatrpati Shivaji and later maratha rulers, some forts are even older. Many of the forts are in ruins, but still, there is a lot to see and experience. Every fort has its own importance & interesting bravery stories of Shivaji & his soldiers. 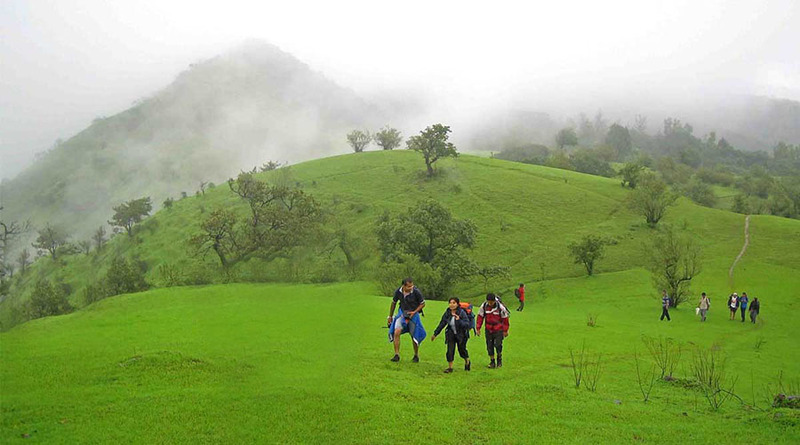 Hence trekking the forts and hills in the sahyadri’s has a charm of its own. Especially in the monsoons, it is a place to die for, with lush greenery and pure waterfalls abundant in the hills. 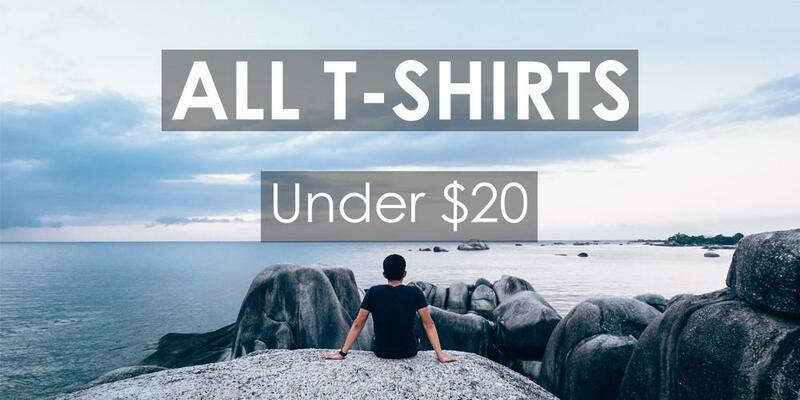 The treks range from very simple to absolutely tough. 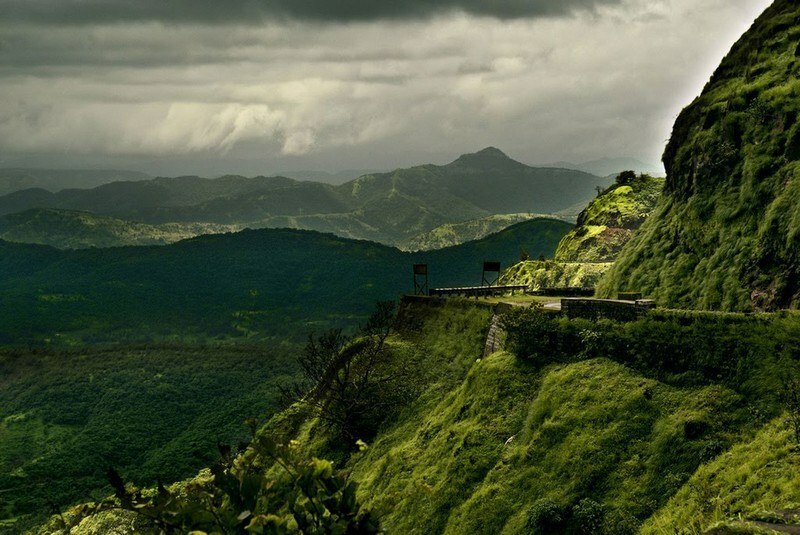 These western ghats are accessible from major cities like mumbai, pune, and nashik. 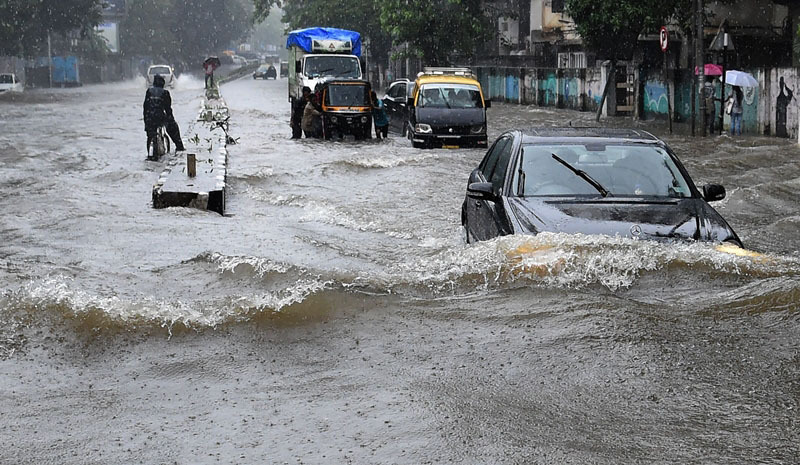 The monsoons lash hard on this state and the cities of Mumbai and other coastal areas are prone to flooding. Summers can be equally harsh and humid so the best time would be the winters. Visit from November to March and you can enjoy the place without much interference from the weather. While cities like Mumbai get submerged during monsoon, the western ghats get beautiful only then! ‘Maha’ means big and ‘Rashtra’ means nation. Maharashtra is indeed ‘Maha’ in its size, population and culture. The vastness of the state naturally ads the required spice of variety to its culture. The folk music and dances of Maharashtra are Koli, Powada, Banjara Holi dance and Lavani dance. Powada dance form shows achievements of Shivaji Maharaja, the Maratha ruler. Koli music and dance originated from the fishermen community for entertainment. Lavani dance form showcases many topics like romance, politics, tragedy, society, etc. Lavani comes from the word Lavanya meaning ‘beautiful’ or ‘beauty’. Maharashtra is famous for taking its festivals seriously. All of them are filled with colors, Dances, and songs. The music in the state of Maharashtra revolves around the Natya Sangeet, abundant folk songs and the saints with their poetry. Due to the presence of every religion, all the festivals are observed in Maharashtra. 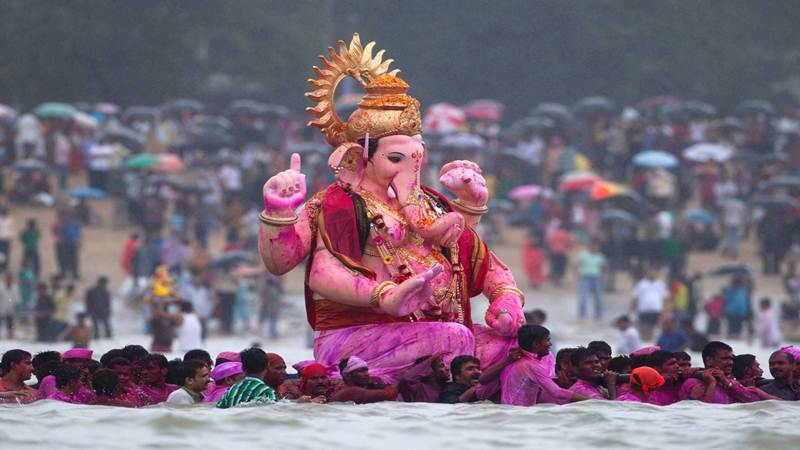 The Ganesh Chaturthi takes festivities to another level and is famed across the country for the same. Diwali, like in the rest of the nation, is celebrated with much fervor and joy in Maharashtra too. Nag Panchami is devoted to the Snake God. The Snake God is prayed to get rid of the Nag Dosh. All the other major festivals of the Hindus like Gudi padwa, Makar Sankranti are duly observed. The Muslims in the state celebrate their Eids and Muharram with as much fervor joy and passion. 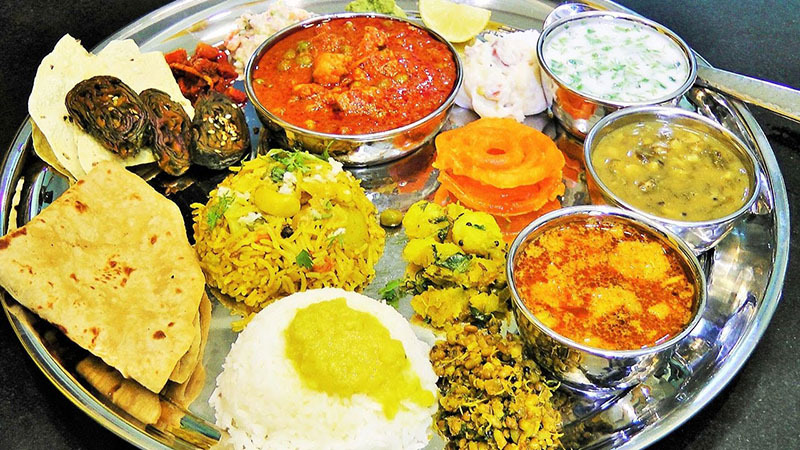 There are basically two different branches of Marathi cuisine – Varadi and Konkan. Maharashtra coastal areas are bordered by the Arabian Sea. 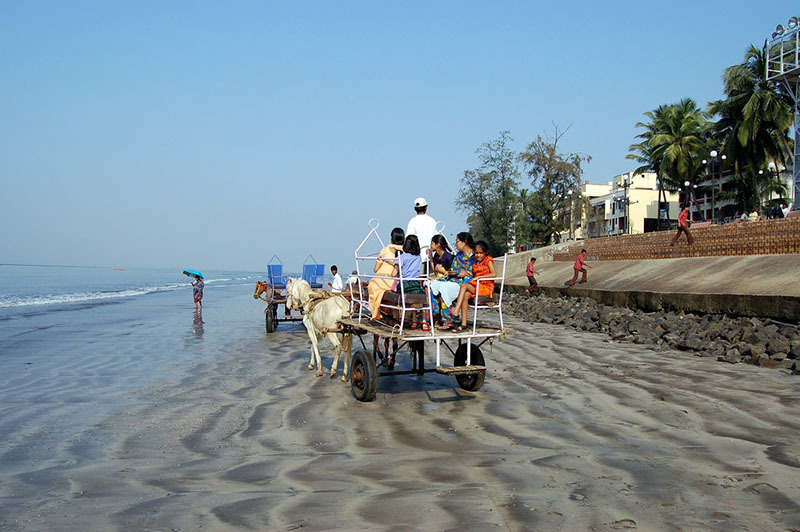 This coastal front is known as the Konkan and has a unique cuisine which is a blend of Gaud, Malvani, Saraswat, Goan and Brahmin cuisines. The Non-Coastal part of Maharashtra which is often termed as the Vidharba is the home to the Varadi cuisine. In the traditional cuisine of Maharashtra, vegetables are blessed with a sedate and aromatic delight while the fishes and meats come steamy hot and spice. The Konkani cuisine relies heavily on the use of coconut and spices. Vada Pav– Popular Maharashtrian dish consisting of fried mashed-potato dumpling (vada), eaten sandwiched in a bun (pav) accompanied with the famous red chutney made from garlic and chilies, and fried green chilies. Misil Pav – This is made from a mix of curried sprouted lentils, topped with batata-bhaji, pohay, Chivda, farsaan, raw chopped onions, and tomato. Also sometimes eaten with yogurt. Bread is a must. Chivada– Spiced flattened rice. It is also known as Bombay mix in Foreign countries especially Great Britain. Surali Wada -Chickpea flour rolls with a garnishing of coconut, coriander leaves, and mustard. Lots of items actually..further delicacies can be obtained in any typical Maharashtrian home. Pav Bhaji – This specialty dish from lanes of Mumbai has mashed steamed mixed vegetables (mainly potatoes, peas, tomatoes, onions and green pepper) cooked in spices and table butter. The vegetable mix is served with soft bun shallow fried in table butter and chopped onion. Modak – is a Maharashtrian sweet typically steamed. Modak is prepared during the Ganesha festival around August, when it is often given as an offering to Lord Ganesha, the elephant-headed God, as it is reportedly his favorite sweet. Maharashtra has five airports – Mumbai, Pune, Nagpur, Nashik and Aurangabad among which Mumbai is the busiest airport in India. 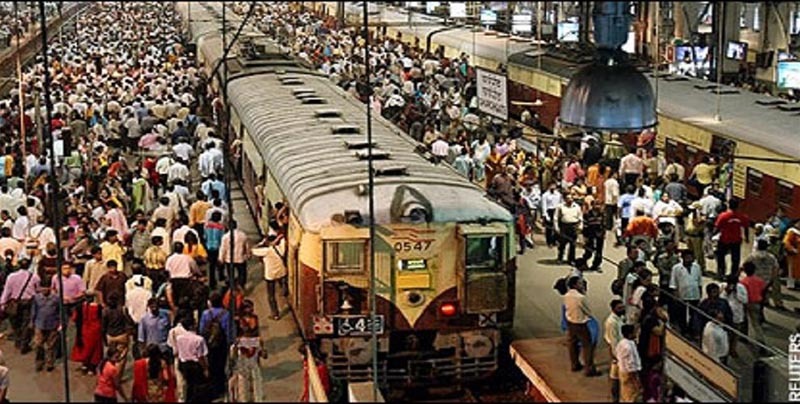 It is also well connected with other parts of India by the Indian Railways. 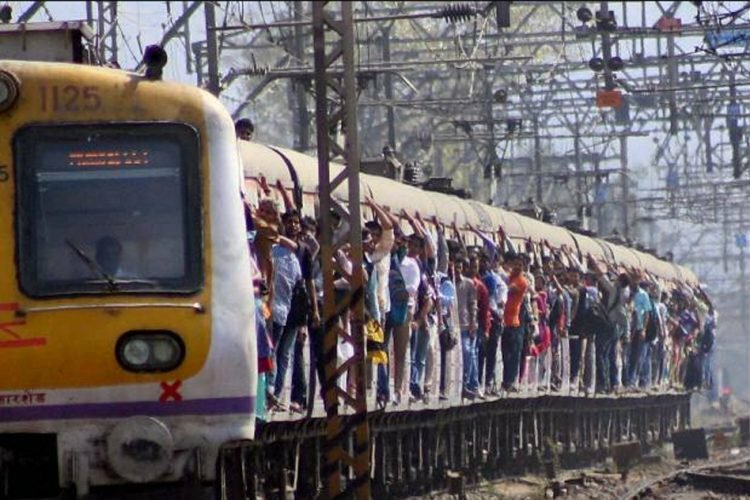 Mumbai is the headquarters of the Central and Western railways while Nagpur, which is close to the geographical center of India has rail connectivity with all the metro cities of India. You can book your ticket from IRCTC. 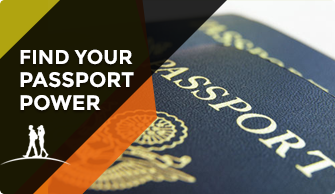 One can easily get around the state from any one city to another using swift transportation available locally. However, it is advised that cabs should be pre-booked to avoid any kind of inconvenience. You can also take the metro within cities like Mumbai to avoid traffic and make it on time. The locals, an overcrowded one! There is no shortage of places to stay in the state. 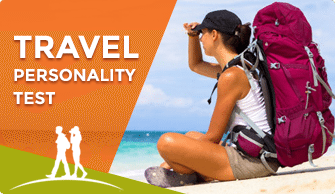 The top tourist destinations like Mumbai, Pune, Lonavala, Nagpur now cater to the needs of both the backpacking travelers with hostels and the family holiday tourists with budget and high range hotels and resorts located all over the state. Try spending at least a night in a traditional home or resort to enjoy the feel of the state. The principal language spoken is Marathi. Hindi and English are widely spoken and understood. Mumbai is fairly cosmopolitan, with many languages, including English being spoken. Konkani is a minority language closely related to Marathi, spoken by the eponymous Konkani community. Though Konkanis are common in the Konkan region, they are a minority everywhere. Depending on where you are in the state, you need to take your precautions. Traveling alone at night is best avoided. Cities have an active nightlife so you can move out in groups and it is considered safe as long as you are aware of your surrounding.